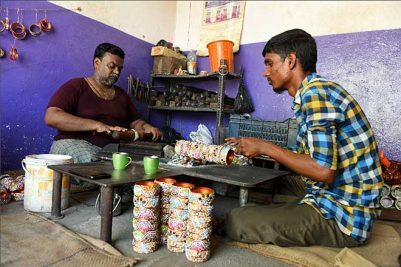 State-run hostels of the erstwhile Adilabad district are often figured in the news for providing contaminated food. 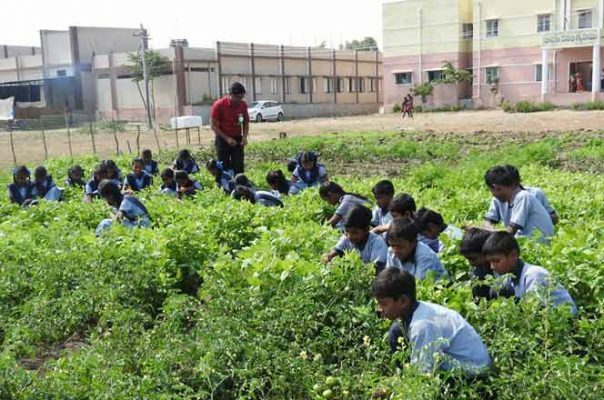 Adilabad: Nearly 500 students belonging to Telangana State Model School in Boath mandal headquarters are able to eat tasty yet nutritious organic food thrice a week. The credit goes to the concept of kitchen garden introduced by their principal Madhapuram Umesh Rao. According to Umesh, the students are involved in growing vegetables on a rotation basis every day for an hour. The garden is maintained in a piece of land in one of the corners of the institution. The fertile soil is helping the institution get a yield of 15 kg of tomatoes, carrot and bottle guard on alternate days. Staff of midday meal scheme extending their support in raising the crops, he added. Umesh won an award from Collector D Divya on the last Republic Day for maintaining the kitchen garden. Importantly, the school could to tackle fluctuations in prices of vegetables in the market.